I always have hemp seed oil in my oil box, it’s got a lot of health benefits. The oil itself is produced from the seeds of the Cannabis plant – it doesn’t contain THC which is the active ingredient within marijuana – it comes from a variety of cannabis that has low concentration of THC. It contains omega-3 and omega-6 fatty acids, essential fats needed to maintain healthy cells, nerves and brain function. Hemp when used for topical benefits has amazing cleansing and moisturising properties, it’s also good to prevent rashes and relief for acne. For that reason, I decided to try Hempz lip balm. As the fat in hemp are similar to those found in the skin, it makes it an effective moisturiser and protectant for skin as it’ll increase the elasticity of the skin, bringing relief & preventing dry, tired or dehydrated skin. Not to forget it also adds vitamin D to the skin, allowing calcium into the skin which is needed for soft, smooth skin. It’s this cold and central heating combination that lip care needs to be upped and I hate the feeling of dry, tight lips – ew, it’s just not me. I exfoliate my lips often because it prevents that but it also needs something on top to help keep it smooth and in good condition. In the short time of using this, I’m surprised this gluten free, 100% vegan and THC-free & 100% pure natural hemp seed oil lip balm is helping a great deal. I has a sweet citrus flavour – hello, I love citrus. 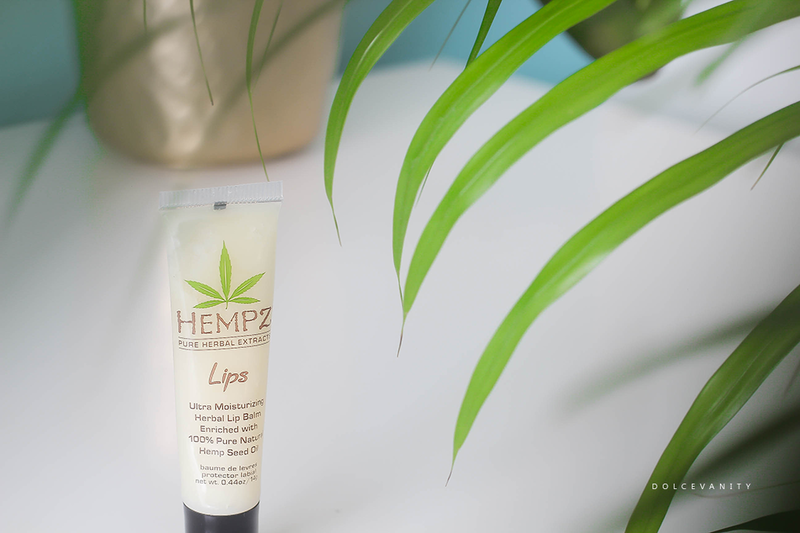 What a combination hemp + citrus = smooth, kissable lips. Do you have a favourite lip balm? This sounds lovely and I have yet to try any hemp products. I have one I bought from the body shop which is quite nice. Awesome! I actually had no idea that Hempz made lip balms, since I've never seen it in stores. My favorite every day lip balm is any Burt's Bees in the tube. When my lips really need help, I go for the Burt's Bees lip salve in the tin. There used to be a hemp beauty shop next door to where I used to live! My favourite is still good old Vaseline! My lips have been so dry recently but the only balm I have is nivea and I don't think it's very good! Really think I need to invest a little bit more! I never ever use Lip Balm but I know the wife has a bit of an obsession with it. I love anything hemp! It's so unbelievably moisturising!